We are thrilled to announce that also our New York servers have been upgraded. With this update, we have increased our capacity and performance. On top of that, we use a state of the art storage technique which makes your data extra secure. 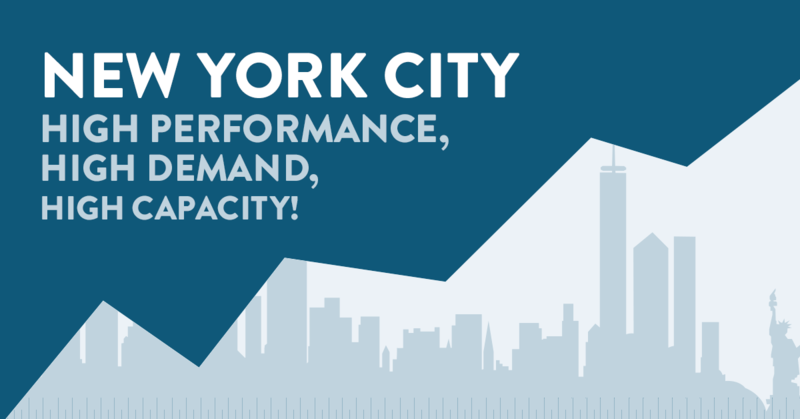 The demand of new VPS’s in New York is high, with this upgrade we increased the capacity and performance tremendously. 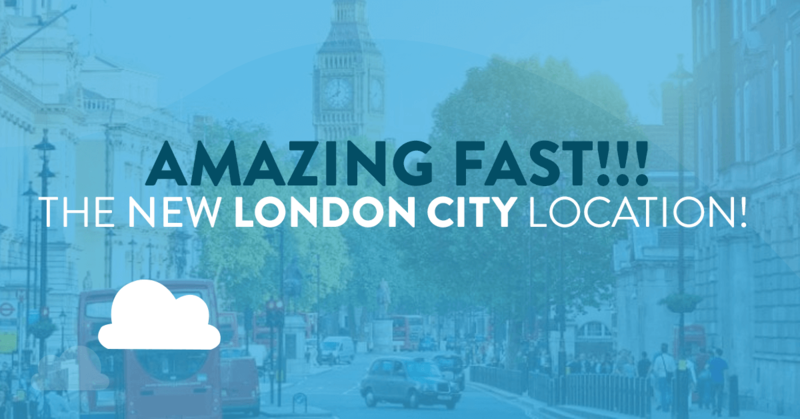 Last week we also upgraded our London platform. This upgrade has the same hardware as we use in New York. We are expanding our datacenters worldwide to meet the needs of our customers. The hardware upgrade has several new features which all will improve the performance of your VPS. Below we explain some of these functions. Our network now has a 10Gbit uplink connection on all servers. The total capacity of our network is 40Gbit which is simply amazing! You can test this via our speed test on https://www.vpsserver.com/new-york/. With this new software-defined storage called “3-way storage” your data is protected in the best way possible. This storage technique stores your data on 3 different servers simultaneously. In the case of any error, there are always 2 other servers that keep your data secure! We use Dell technology on all our Hypervisors. These are equipped with Intel E5-2690 Series Processors. This series is one of the best performing CPU available on the market. To keep your server fast and reliable DDR4 RAM memory is used. Test our new platform and experience blazing fast Virtual services! For the new configuration, we use state of the art Dell Hypervisors equipped with Intel E5-2690 series. These processors are one of the best performing CPUs on the market. On top of that, the servers are equipped with DDR4 Memory slots. All servers have a dual 1Gbit uplink for blazing fast internet connection. We use Mellanox Networking technology. With this technique, the network has an incredible capacity of 40Gbit. Most VPS providers use RAID-storage; we don’t! In our fully equipped setups, we use 3-way storage. Storing all your data on three servers simultaneously. If any failure were to occur, your data remains safe! What to know about search engines? If you're a developer, then you'll already be au fait with the tools of the trade - from coding language through to hosting protocols and VPS Server solutions - but how much do you know about search engines? Essentially we want to know just one thing - what is it that search engines look for when ranking content? After all, your clients will happily pay big money to get their search terms to the top of the listings. Search engines are a complex beast. Not only do they have the seemingly miraculous ability to predict what you are searching for on the strength of just a few typed letters, but they can also return millions of relevant terms in an instant. But how? 1. Every search result is painstakingly codified, collated and analysed in anticipation of common queries. Much of this is done using extreme high technology, but search engine companies also hire large numbers of SEO specialists to provide human context and sense checking. 2. Vast supercomputers process algorithms, endlessly trawling the internet to seek out updates and changes to content. 3. At the same time, they measure time to load and look to assess the more subjective aspects that content is ranked against, such as its inherent quality - based on factors such as language, originality, linking and so forth. 4. The findings are collated into a site index that is relevant to each set of keywords, and which is instantly ready for display at the touch of a search. Now, every search engine will carry out this process in a unique way according to the company behind the technology. The exact make-up of each algorithm is kept tightly under lock and key to avoid any corporate IP theft, as well as workarounds or black hat cheating tactics from websites looking to jump up the rankings using spurious means. This was previously a problem, as flaws in earlier ranking algorithms meant that black hat techniques such as keyword stuffing and link farms were rife. These are effectively attempts to defraud the results of search engines. The need to keep ahead of such behaviour also explains why the underlying search algorithms are always changing. However, this makes it even harder to keep abreast of how websites are scored, and to know how to match your website to precise requirements in order to optimise its placement. So what factors place a website? The holy grail, in terms of usage and their density. The element of keyword strategy is called SEO - although search engine optimisation as a practice is far more comprehensive and complex than simply ensuring that key phrases and words are used on a website page. The best way to make a website relevant for a page query is to make sure the content features terms that viewers are likely to search for. The other vital aspect is content volume and quality - there should be a good amount of regularly updated, high-quality content which is authoritative in nature. This supports the 'authoritative' content angle. Websites which have a number of external backlinks within their content will be seen as knowledgeable and authoritative. This explains why in the bad old days of SEO, there were so many link farms which simply existed to add in vast amounts of links. Today, associations with these websites is extremely damaging and can render websites blacklisted. However, legitimate linking strategies are highly valuable and can greatly improve page rankings. One of the newer measurement factors is speed of loading - because of the increased use of mobile user traffic. Algorithms now assess how long it takes for a website page to load, knowing that more users will be accessing it via a phone or tablet. Fast sites are ranked by preference for being mobile friendly - so developers will need to code and build in features that support fast loading speeds. This ties in with evolving website design and build trends that include single page scrolling templates, flat design, the use of video and so forth. Use of the right VPS Server will greatly impact speed of loading times, as you will not need to share your data speeds with other users and can buy in custom features and specifications that suit your website needs. Find out more at VPS. Metadata text has always been mysterious, but there are now packages such as Yoast with WordPress that make it simple. For developers who want to understand what's important here, metadata text appears in URLs, page heads and image captions, and gives search engine servers another means of assessing the contents of a web page. Again, the more popular the search term, the more likely the page will score highly. The older the website, the more trustworthy it will be judged to be by the search engine. If your website is established and updated regularly, it will score particularly highly. Google results also show when a page was last updated, to provide the user with an extra cue to inform their click choice. Once there was only really .com or .co.uk to consider. Today there are more than one thousand of these top level domains - or TLDs - on offer. When a search is carried out, domains which are specific within a country will be given preference to those in-country geographical searches - but ranked lower for overseas searches. Websites that are looking to build up a global readership are advised to pick a TLD that isn't geographic (avoid the .co.uk for instance). Remember also that the server that the website is hosted on must be fit for purpose, offer sufficient size speeds and data, and be reliable, with an extremely small degree of published downtime. A VPS server offers benefits to websites and businesses that want access to technical expertise, custom set-ups and advanced features, security, fast speeds and maximum operational uptime. Find out more here.